The concept of agroforestry encompasses trees and shrubs combined in one way or another with crops and/or livestock. The basis of these systems is to allow the tree and the shrub to play their full roles in the protection and regeneration of the environment. 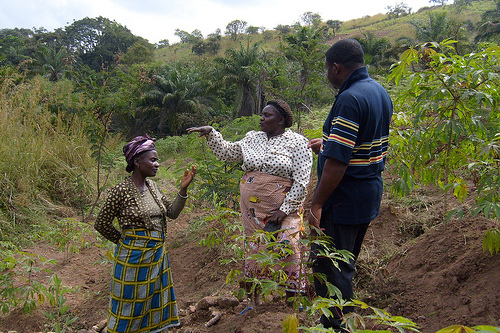 Pushed into the limelight by the global challenge of climate change – which is increasingly being linked to the loss of forests – or by more specific issues of managing wood resources, agroforestry constitutes, without doubt, a part of the solution for a better integration of mankind and his activities with the natural environment. Research in agroforestry is distributed amongst several actors (universities, national and international research and development centres). Agroforestry is now included in several major debates on the future of the planet’s resources. The scientific community should seize this opportunity to advance agroforestry’s potential for contributing solutions for viable plant and animal production systems especially in the context of climate change, for the fight against poverty, for food security, for economic, social and political stability, and for a greener agriculture. Moreover, it is essential that this widely dispersed scientific community finds methods of disseminating its findings to users to increase understanding of agroforestry’s importance for sustainable agricultural and rural development. (This folder was prepared by CABI and CIRAD in collaboration with CTA. Editor in chief, Judith Francis, CTA, 2010).